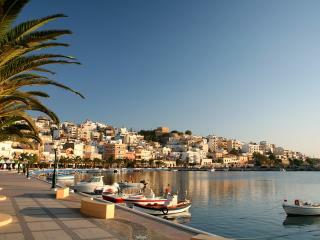 Welcome to the beautiful holiday destination of Greece and the Greek islands in the Mediterranean Sea. 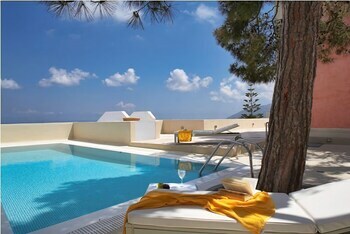 Travel Online brings you some of the best holiday accommodation options and detailed traveller information on Greece. 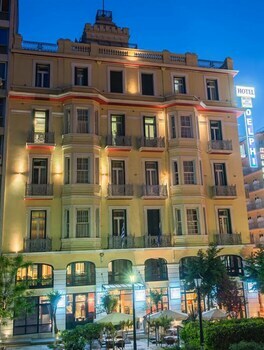 In this site you will find everything from luxury hotels and resorts to budget apartments for the regions Athens, mainland Greece and the Greek Islands. Home of the 2004 Olympic Games, Greece is the southernmost country on the European mainland. Greece is surrounded by sea. Over 1400 Greek islands are scattered in this part of the eastern Mediterranean, roughly 170 of them inhabited. 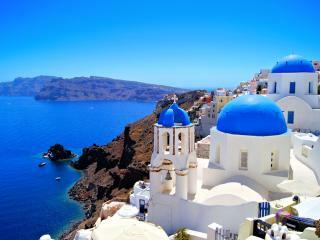 Greece is about half the size of England or approximately the same size as New York State. The Greek mainland borders with Albania, Macedonia (FYROM), Bulgaria and Turkey. 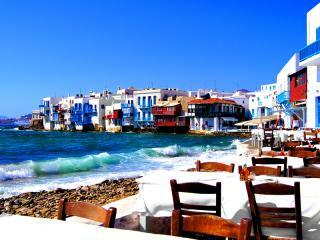 Greece is a country of natural beauty, charm and warm hospitality. It enjoys great weather, beautiful and diverse landscapes, many scenic beaches and crystal clear waters. You can visit picturesque white washed villages, admire beautiful mountains and enjoy a passionate culture with many traditions. From the inspiring Monasteries of Meteora to the ruins of Delphi and the numerous museums located all over Greece, the visitor can delve into history and a unique ancient civilization. 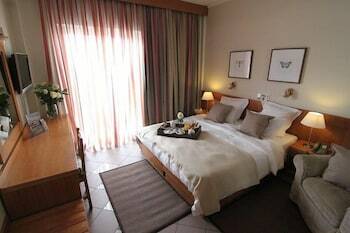 More about Greek Attractions. Approximately 7 per cent of all the marble produced throughout the world is produced in Greece and almost 80 per cent of Greece is comprised of mountainous terrain. Greece is the third largest producer of olives in the world, with ancient trees planted in the 13th century still producing olives today. Thousands of words in the English language originated from Greek including ‘apology’, ‘academy’, ‘alphabet’, ‘marathon’, ‘siren’ and ‘typhoon’. 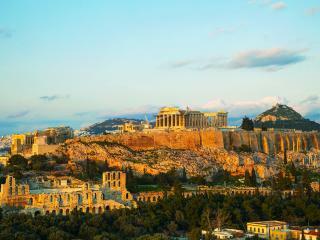 Athens is one of Europe’s oldest cities having been inhabited continuously for more than 7,000 years. Athens is also the birthplace of the Olympic Games, Western philosophy, political science, democracy, major mathematical principles, Western literature and the Western theatrical theories of comedy and tragedy.